Lets have that Big Number again! 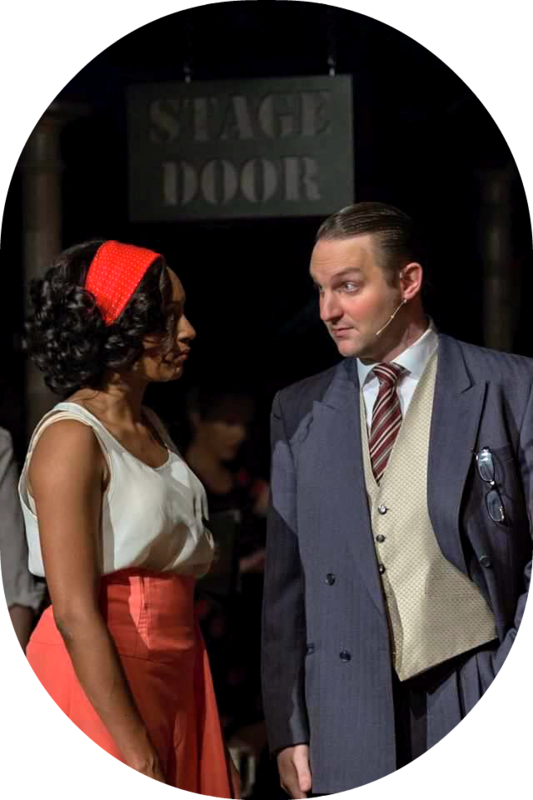 Geoids Musical Theatre presents 42nd Street; full of energy and high spirited performers – this show can’t help but give you those feel good tingles. With the audience whooping and cheering, you’re guaranteed to be singing the hits of 42nd Street as you skip to the bar post show. Obnoxious and detestable,the diva of broadway, Dorothy Brock (Annabel Boyle) goes out of her way for the lime light until an on stage accident takes her down, allowing a new star to take centre stage, Peggy Sawyer (Charlie Welch). 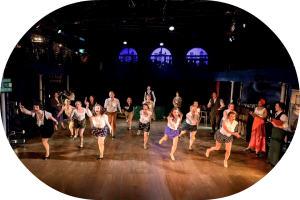 Choreographed by Nichola Welch, the ensemble of 42nd Street barely stop still; tapping ten to the dozen in time to the live orchestra. On top of their numerous musical numbers, this exuberant group of girls, including Hayley Spong, Helen Morris and Julia Kleinsteuber, have created animated characters for the audience to enjoy. The extremely talented Charlie Welch is a joy to watch, a skilled dancer with an elegant voice – some tweaks to the sound would have been appreciated as it was often hard to hear her. Chris Watson plays the unexpected love interest, Julian Marsh. The last surprise of the evening is kept for the 42nd Street reprise, where Watson goes solo and dazzles the audience with an exquisite set of vocal chords. Feel part of the action in this classic Broadway musical, with the casts infectious energy you won’t be able to keep your toes from tingling to tap. 42nd Street is Childhood for me! I’ve been wanting to get into this kind of thing in the UK, miss doing it in US. Sounds like huge fun.